Can Disrupted Sleep Patterns Cause Hormonal Imbalance? Home → Fertility issues → Can Disrupted Sleep Patterns Cause Hormonal Imbalance? Disrupted sleep patterns can cause hormonal imbalance and suppress ovulation. Women who have problems sleeping are more likely to have hormonal imbalances. Disrupted sleep patterns can cause hormonal imbalance and low basal body temperature, and can suppress ovulation. The quality and quantity of sleep you get each night may affect your fertility. Many healthcare practitioners agree, women need an average of 8-10 hours of sleep a night to maintain hormonal balance. We all know that hormonal balance is vital to a healthy menstrual cycle, including proper timing of ovulation. Sleep affects key fertility hormones including estrogen, progesterone, luteinizing hormone (LH), and follicle stimulating hormone (FSH). There is one specific hormone that is a vital link between fertility and sleep though, that hormone is leptin. Regular sleep is required to produce proper amounts of Leptin. Leptin affects ovulation, so disrupted release of leptin may cause irregular menstrual cycles. Your Body Needs Sleep – But Why? During the hours you are sleeping, the body is taking time to repair, detoxify, regulate hormones, correct chemical imbalances, adjust blood sugar levels, store and manage memories, and more. In order for your body to do this each night, your brain must pass through four levels NREM, or Non-REM sleep, and enter the rapid eye movement stage known as REM sleep. The second and third level are the most important because that is when the body is in its most restful and restorative state. If the body does not spend enough time in REM sleep each night, this may lead to hormonal disruption, delayed ovulation, and irregular or absent menstrual cycles. Women with insomnia or who wake up throughout the night are not spending enough time in REM sleep. The body cannot function well when sleep is continually disrupted, and over time, it can lead to health issues, including difficulty with getting pregnant. Studies have shown that women with irregular sleep patterns may have erratic or low body temperature, which makes charting your cycle with the BBT method nearly impossible. Women who would like to detect ovulation through charting with BBT need a consistent good night’s sleep for BBT charting to be accurate. Women who work the night shift have been shown to commonly have disrupted menstrual cycles. This is because their circadian rhythm has been disrupted. Each of us has an internal clock known as circadian rhythm. The body’s circadian rhythm is run by regular patterns of light and dark within a 24-hour period. Basically what happens is that the natural circadian rhythm your body was used to all of your life has suddenly reversed, causing great confusion in the body. Not only that, a night shift worker is expected to maintain normal awake and sleep hours they were used to following on their days off. Night shift workers may find it very difficult to maintain regular sleep patterns in complete darkness because they are awake during the night when there is no natural light present. Artificial lighting doesn’t stimulate the natural biological processes in the body the way the sun does. This switching back and forth between irregular light and dark periods alters the production of the sleep hormone melatonin and the stress hormone cortisol. In order to promote hormonal balance and a regular menstrual cycle while working the night shift, it is important to create a completely dark room to sleep in. When you are awake, if there is any daylight, be sure you get out for some direct sun exposure for at least 15-20 minutes; use no sunscreen or sunglasses, which block the suns UV rays and inhibit vitamin D production. Try to keep a strict dark and light schedule and, over time, your body should adjust to the new circadian rhythm. If your night shift schedule is temporary, expect that your menstrual cycle may become disrupted again when your schedule switches back. 1. Create a sleep routine. Try to go to bed the same time each night and wake at the same time each morning. 2. Avoid caffeine, nicotine, stimulating herbs, and alcohol in the late afternoon or evening. 3. Create a bedtime ritual. This should be done a half hour before bedtime. A few of these can be combined, but being consistent with your ritual is what is most important. 4. Make the room you sleep in as dark as possible so your body can easily recognize the circadian rhythm. 5. Remove electronics in your sleep area and avoid them before bed. The artificial light and electromagnetic frequency can inhibit the brain’s natural ability to move through sleep cycles correctly. Remove any computers, cell phones, TVs, tablets or video gaming devices. 6. Exercise daily, but avoid extreme or strenuous exercise before bed because this can release both adrenalin and cortisol levels, which is not conducive for good sleep. 7. Manage stress levels. If you are mulling over negative thoughts in your head before bed each evening and carrying your worries into your sleep, you are more likely to have disrupted sleep cycles. Make a stress management plan, and never go to bed stressed out. 8. Be sure you are getting enough of the important vital nutrients which are necessary for regular sleep patterns. Yes, nutrition matters even where sleep is concerned. Vitamin D can be obtained for free by sitting out in the sun for 15 to 20 minutes per day. Forget using sun block or sunglasses because these will actually block the ultraviolet light that is needed to produce Vitamin D. The warm sun helps your skin and the retina in your eyes to create Vitamin D3 that is then transformed into the active hormone form of Vitamin D by the kidneys and the liver. In fact, by being out in the sun for just a few minutes a day, a woman’s body can create between 10,000 to 25,000 IU of Vitamin D. In addition supplementing with vitamin D3 in at least 400 IU per day may help support adequate levels of this vitamin in the body. Magnesium has been shown to alleviate insomnia and irritability in the evening. Suggested daily supplementation is 500 mg per day, 45 minutes before bed. EPA (eicosapentaenoic acid) supports healthy behavior and mood and sleep. EPA can easily be obtained with the added benefit of naturally occurring Vitamin D in Cod Liver Oil. Vitamin B complex with vitamin B12 taken daily has been shown to improve sleep, support the central nervous system, and reduce stress and depression. B complex should be taken in the morning with food. Melatonin supplementation may be helpful for those who have low levels of melatonin. You will know if this is a problem for you or not by taking it 30-45 minutes before bed. If you don’t get sleepy, your body is releasing and has adequate levels of melatonin and you don’t need to supplement with it. Its an incredible joy perusing your post. It is loaded with data I am searching for and I want to post a remark that “The substance of your post is marvellous” Great work. What do you do if your partner tosses throughout the night (which is natural and normal) and it constantly wakes you up? Oh that’s hard! Will your partner try herbs to try to keep him/her calm in the night? Herbs to consider learning more about are Scullcap, Kava Kava, or Passionflower. The Stress Company makes a tonic called Sleep Nightly Tonic. Maybe a pillow between the two of you would help, or perhaps to ensure you get rest, sleeping in another bed would help. I know that’s not great for baby making, but you also need to sleep to feel vibrant. I was told by my Dr. (and also read in another article) that melatonin can be dangerous when TTC and also sometimes dangerous for anyone. 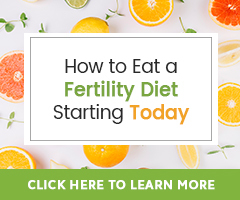 I am not sure the evidence is conclusive, but we do feel that if you are thinking about taking melatonin to boost your fertility you should discuss the issue with your healthcare provider or fertility specialist. He/she knows your fertility and overall healthy best and they are best able to guide you.